Download Episode 032 – Non-Verbal Human Hacking Release Date Mar 12, 2012. Keep in mind we are still trying to support our good friend Brad Smith and asking people to help them with their medical bills. We will continue to update you on Brad’s condition and we appreciate all your help with donations. 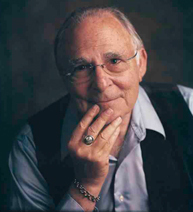 Dr. Paul Ekman is a world renowned scientist that has spent decades in pursuit of understanding on how humans interact. His study into microexpressions has literally changed the world and how we communicate. Dr. Ekman joined us this month to discuss some of the deeper aspects of his research into microexpressions; how they can be used and how people can be trained to see them. We discussed: 1.) Who is Paul Ekman? 2.) How did you start your research into MFE (micro facial expressions)? 3.) How can everyday people use MFE’s? 4.) Can one really detect deception using MFE’s? 5.) A group of scientists at Northwestern University did a study called “Neural and Behavioral Evidence for Effective Priming from Unconsciously Perceived Emotional Facial Expressions and the Influence of Trait Anxiety” it basically states that when a human views another human’s MFE’s it influences the emotions they feel… what are Dr. Ekman’s thoughts on that? And much much more!